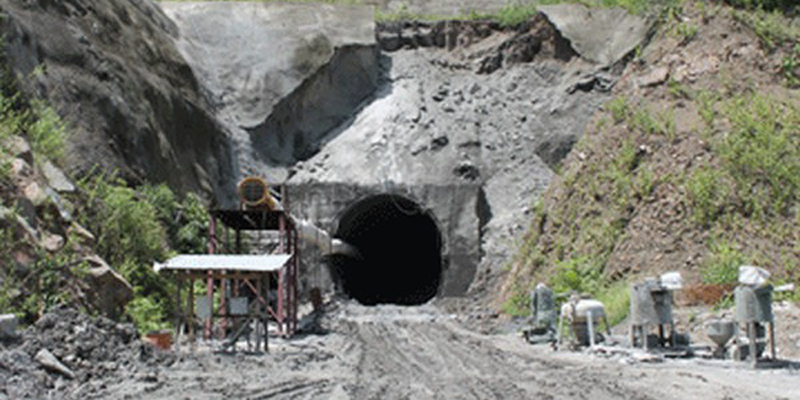 Geotechnical Investigation including drilling of 150 mm / NX vertical bore holes, laboratory testing of soil, rock & water samples and submission of reports for the proposed new BG Rail line from Jiribam to Imphal - Package-III (km 64.00 - km 98.00). It has been proposed to construct a new BG line from Jiribam to Imphal and the job was awarded to M/s. RITES Limited. For designing foundation structures coming under this project, it was necessary to conduct a detailed Geotechnical Investigation Work to obtain engineering properties of the underlying soil and M/s. RITES Limited appointed M/s. C. E. Testing Company Pvt. Ltd., Kolkata as their Geotechnical Consultant. The job value amounted to Rs. 1.05 crore.The fieldwork included advancing the boreholes in the soils by Shell and Auger method followed by chiselling and drilling. The scope also included conducting Standard Penetration Tests, collecting disturbed samples at regular intervals for identification and logging purposes, collecting undisturbed tube samples at suitable intervals or at change of strata, whichever was earlier. Considering the nature of the sub soils and the load coming on to the structures most suitable type of structure was recommended.